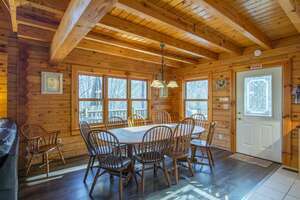 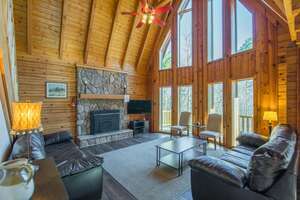 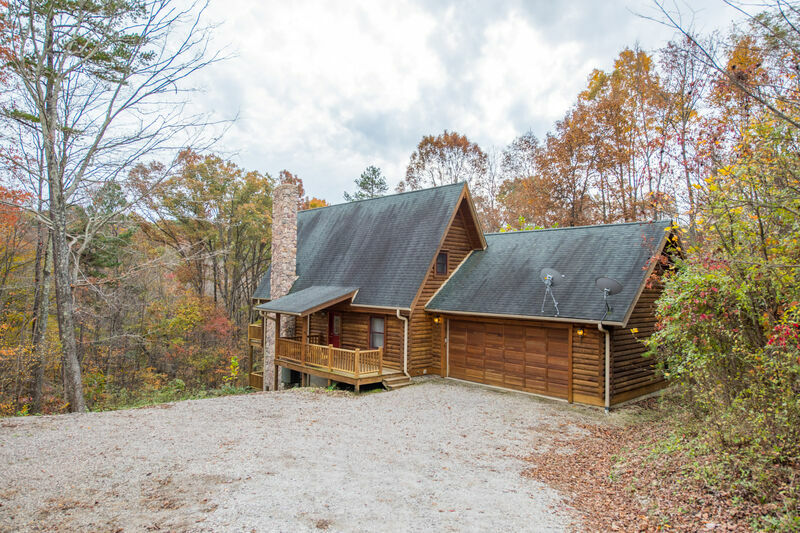 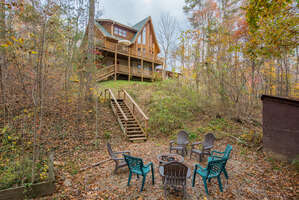 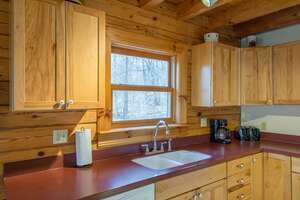 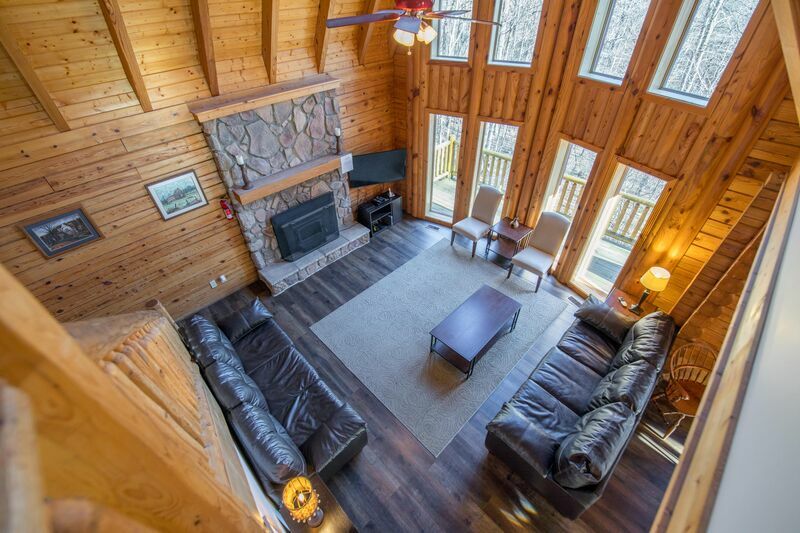 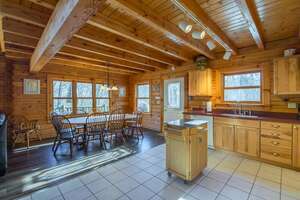 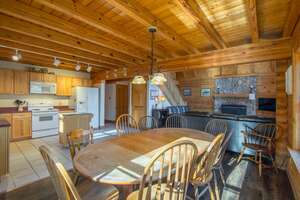 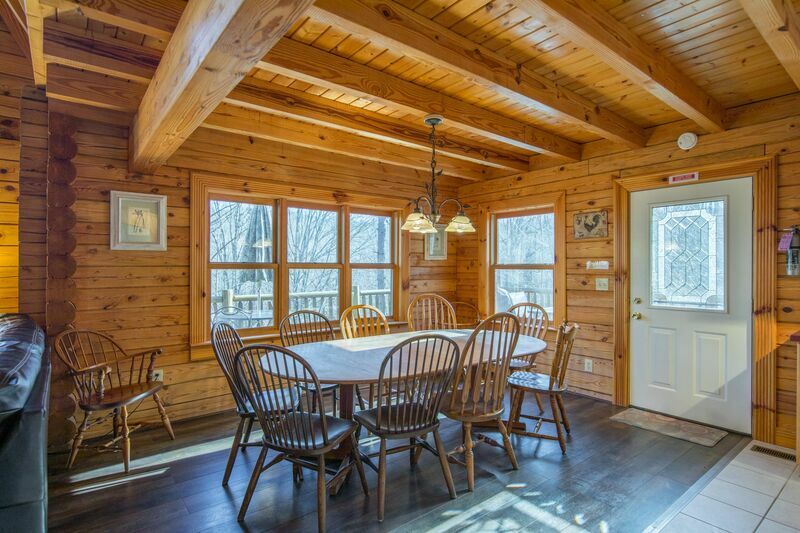 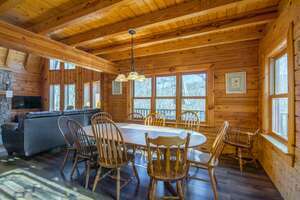 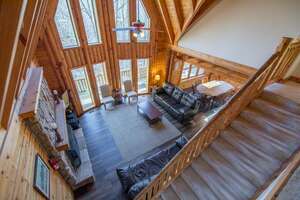 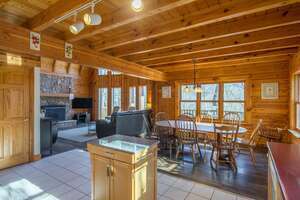 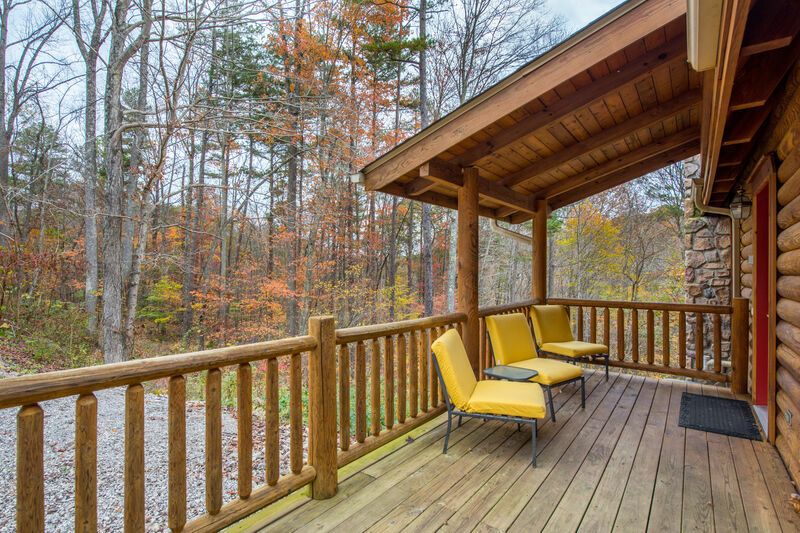 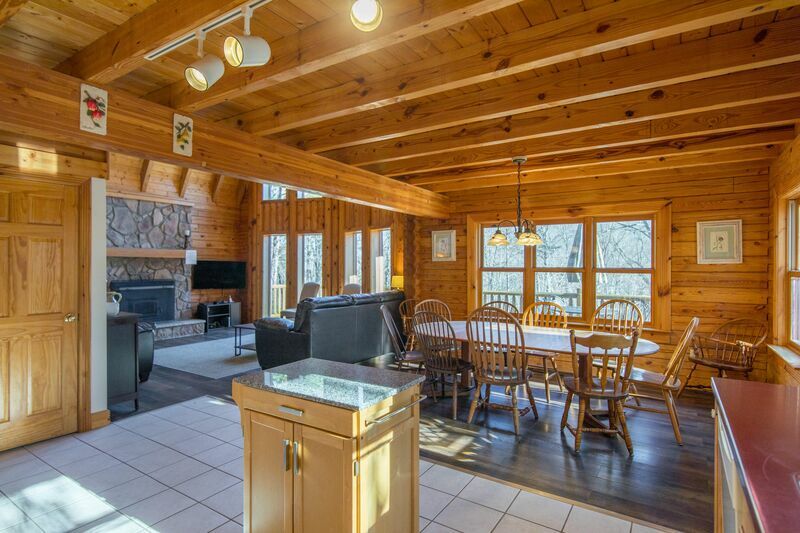 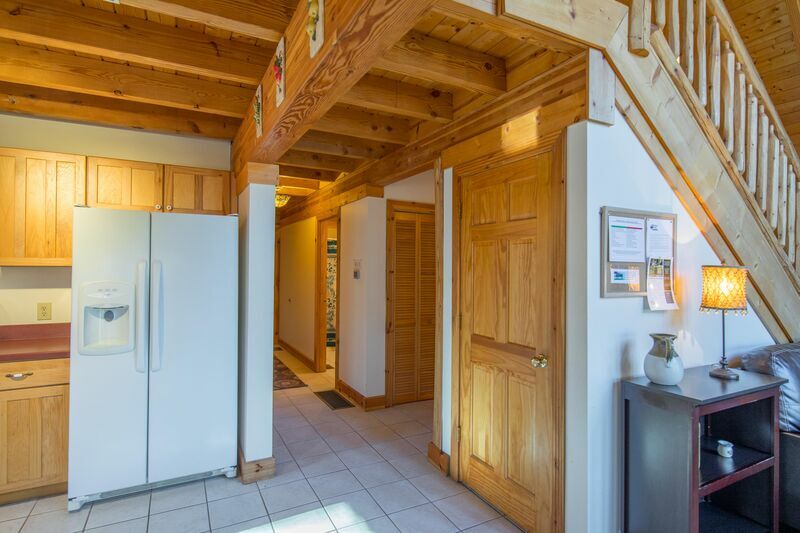 Creekwood Cabin is an authentic log cabin set on a hillside with an open floor plan for up to 10 guests. 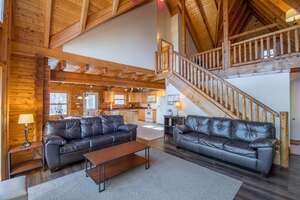 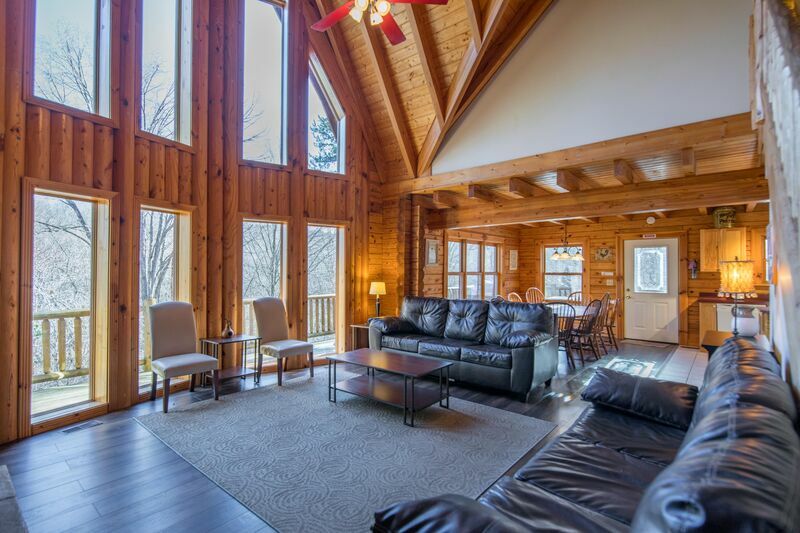 The great room offers cathedral ceilings with a wood stove and a dramatic window wall with views of the back wooded acreage. 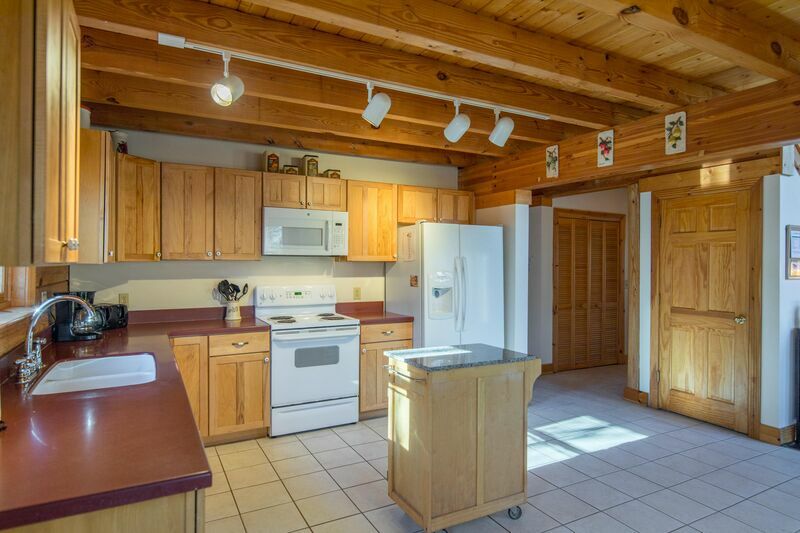 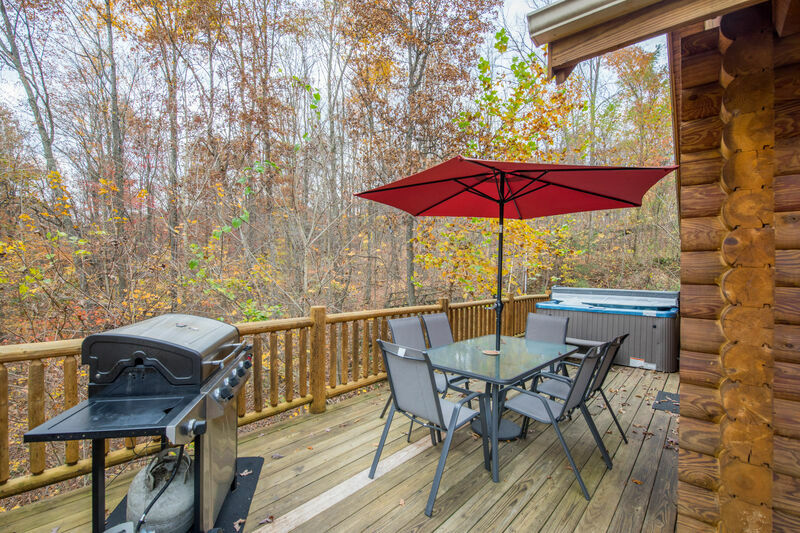 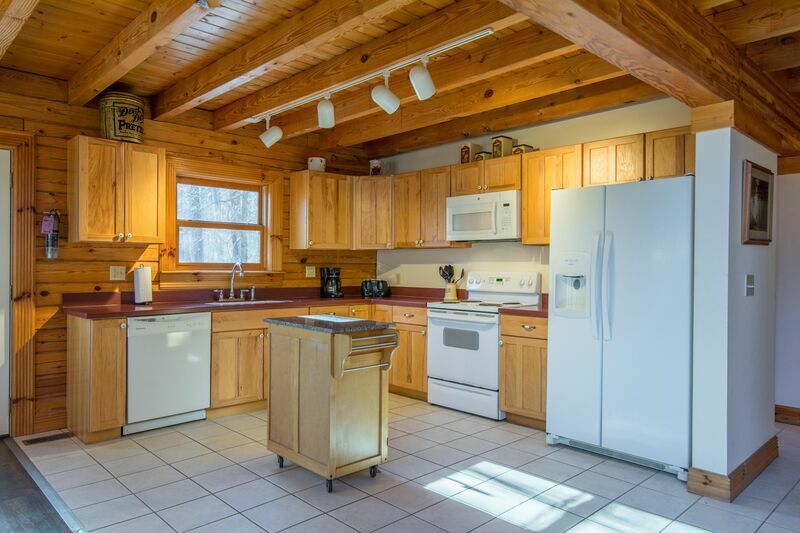 The kitchen and dining area are conveniently spacious and have access to the hot tub and grilling deck. 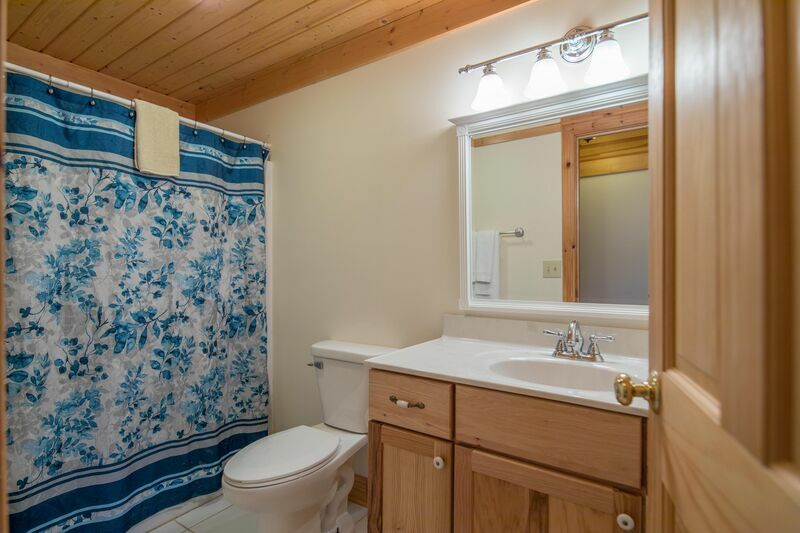 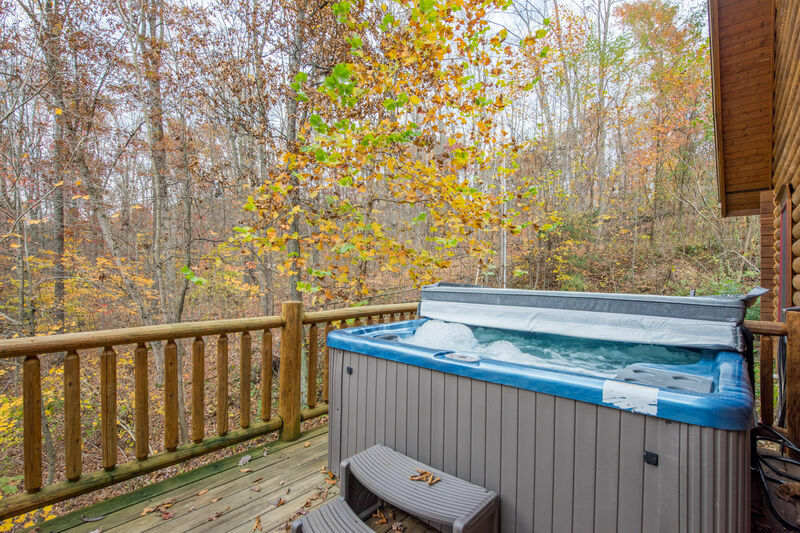 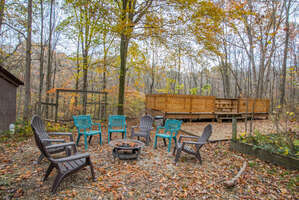 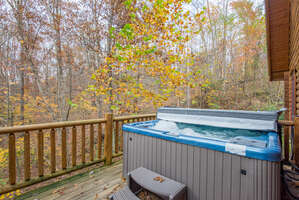 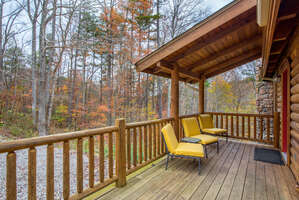 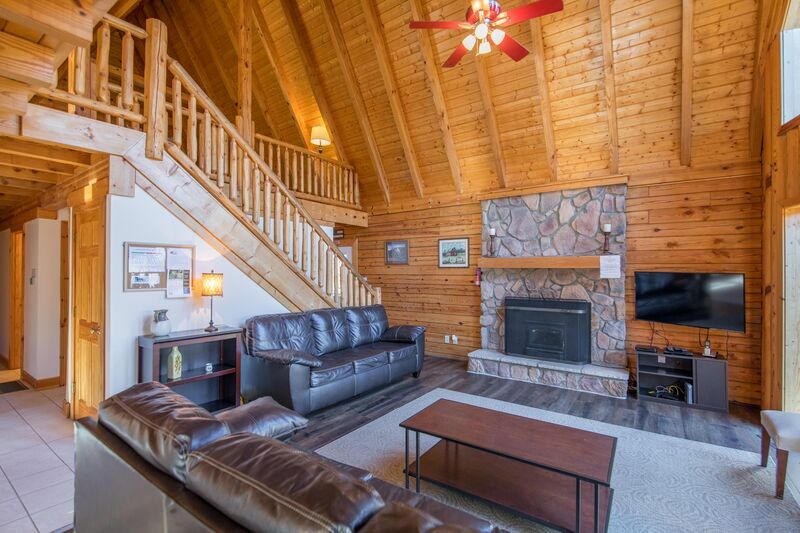 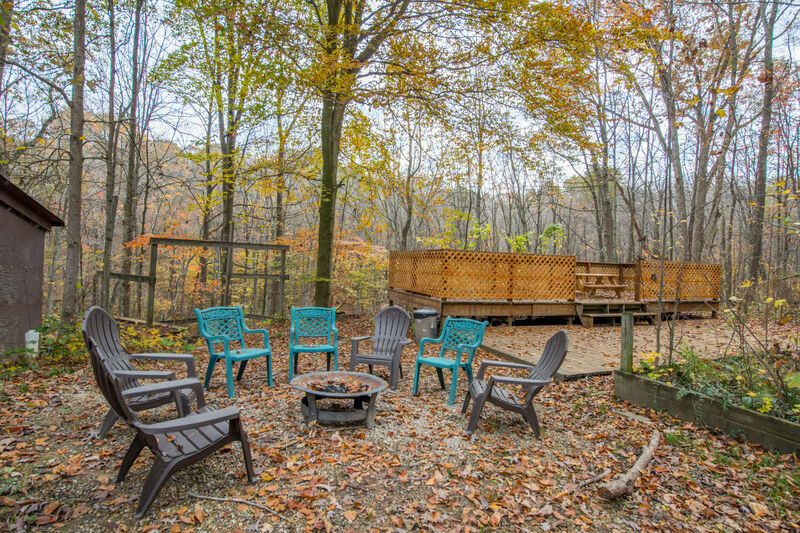 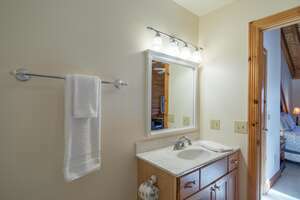 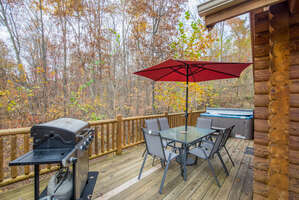 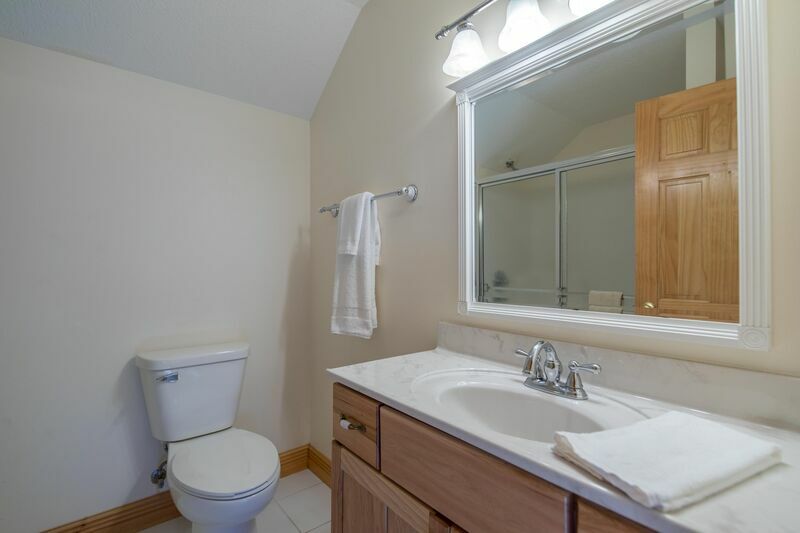 It is conveniently located close to Old Man's Cave and also offers garage storage for the guests to use.